The Budget 2700 Plus School Roll Laminator is the perfect choice for schools, churches and offices where a quality, durable roll laminator is needed at an affordable price. This 27" has features that most do not find in a low cost laminator, such as adjustable speed and temperature controls, an auto shutoff, a safety shield with switch and an anti-jam reverse switch for minimizing and quickly clearing wrap-arounds. Laminator.com has teamed with a leading industry laminator manufacturer to design an affordable and easy to use roll laminator that is ideal for the school and office environments. The Budget 2700 Plus 27" heated roller roll laminator is built with Heavy Duty components including metal side covers. It features adjustable speed and temperature controls allowing for bubble free laminating of film up to 5mil in thickness, an anti-jam reverse switch to minimize and quickly clear wrap-arounds, and an attached safety shield for increased safety. The Budget 2700 Plus also features an auto shutoff for energy savings, easy-to-use control pad, a rear trimmer and a FREE Keylock Key Switch - $75 Value! FREE SHIPPING is offered on the the Budget 2700 Plus 27" heated roller roll laminator. 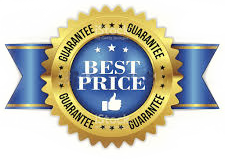 With our Low Price Guarantee nobody saves you more money on quality laminating and binding products than Laminator.com.